Custom office furniture offers you the opportunity to customize your office furniture to your taste, style, and preference. The entire design, shape, size, as well as the material used, will be personalized to your business needs. For your custom office furniture in Houston, always turn to Clear Choice Office Solutions. We are the perfect fit to get it done. At Clear Choice Office Solutions, we specialize in providing custom office furniture solutions Houston that are professionally crafted to meet the needs of our esteemed clients. We offer you a wide selection of custom office furniture featuring fascinating designs and styles. When it comes to providing custom office furniture solutions, our expertise is second-to-none. Whether you are looking for something simple to complement your office space or something more stylish to make the entire workspace look spectacular, our custom office furniture in Houston, Texas is the ideal solution for you. No matter how complex your furniture idea can be, our expert team will help you actualize them. Custom office furniture makes it possible to design your office space with the values and brand of the company in mind. A personalized, unique office table will instantly showcase your values. This also helps create a warm and serene atmosphere. By making use of custom office furniture designs, you can set a welcoming and relaxed tone for your employees. Furthermore, incorporating custom office furniture that embrace the personalities and preference of your employees indicates that you value them. Designing an office space which supports flexible collaboration and social interaction provides a conducive environment for employees to thrive. 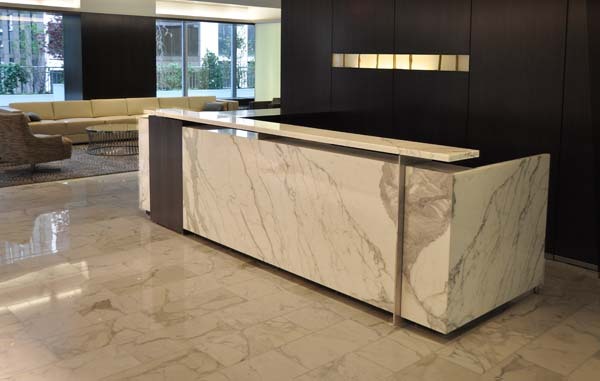 With custom office pieces, you can always anticipate improved efficiency and more meaningful outcomes. Furnishing a large workspace uniformly is essential. You may not be able to achieve this if you opt for mass-produced office furniture as only a few pieces in each design are produced. However, with custom-made office furniture, you can furnish the entire office space uniformly. Another benefit of custom office furniture is utility. Custom pieces ensure that the entire space is used effectively. The furniture will be able to cover every nook and cranny of the office. If large tables cannot fit into a space, you can easily create custom side tables that will fit in. This also applies for shelves and cabinets. With custom office furniture, the furniture will be designed based on your specification. Hence, they will serve your business needs efficiently. 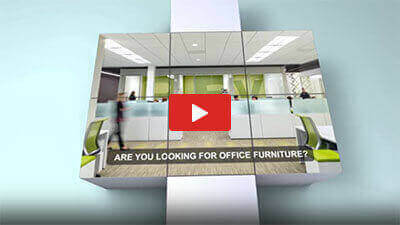 Customized office furniture opens the door to personalization and inspiration. It is more than just a table or chair. It is an experience that helps employees express themselves. Customized office furniture that features various colors, designs, styles, textures, and materials result in a creative office environment. Thus, sparking innovative thinking. Let our experts at Clear Choice Office Solutions help customize your office furniture to your preferred style. We are the leader in Customer Office Furniture solutions in Houston, and all of Texas. We can offer you custom furniture solutions on all kinds of office furniture including Office Desks, Receptions Desks, Conference Tables, Shelves, Cabinets, and lots more. What’s more, our wide selection of custom office furniture are designed to offer top class comfort and enhance employee productivity. These office furniture are made from superior quality, durable materials. They will serve your office needs for an extended period. When you purchase your custom office furniture from us, you are making a long-term investment for your business. Designing custom office furniture requires a level of experience and expertise. This is where we excel. Over the years, we have designed a wide variety of custom office furniture for several clients all over Houston, Austin, and San Antonio, Texas. Our services are well-detailed and highly professional. We are always ready to offer you a personalized furniture solution, based on your budget and office needs. At Clear Choice Office Solutions, we pride ourselves on delivering true customization. Our team of well-experienced furniture experts and designs will produce exclusive, top class custom office furniture that are suitable for all your office needs. We can design and build to your exact specifications. With us, you can be certain that your custom office furniture in Houston will be created by competent and well-experienced professionals. For more information about our custom office furniture solutions, contact us today at Clear Choice Office Solutions. Our experts will be available to speak with you and discuss your options. With Clear Choice, the possibilities are virtually limitless. If you can draw it, we can build it! Be assured of getting excellent services that will leave you extremely satisfied.